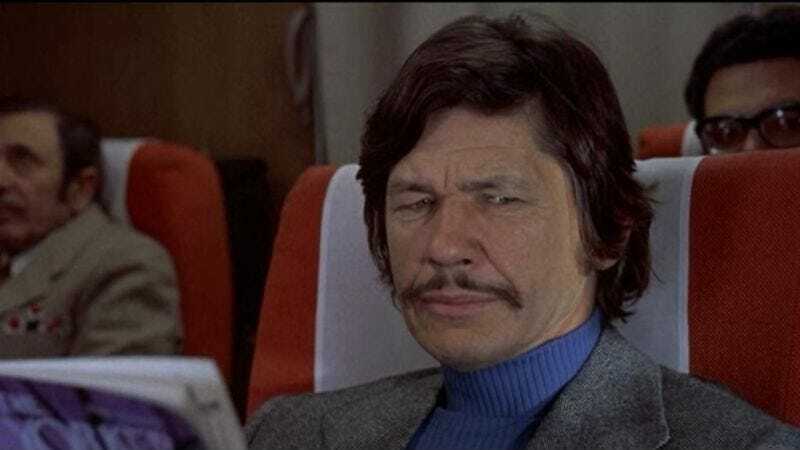 It takes serious balls for anyone to try and screw over Charles Bronson, but that’s just what the late actor’s estate has accused Warner Bros. and MGM of doing, claiming that Bronson was robbed of profits on both 1975’s St. Ives and 1976’s Telefon—and if there’s one thing we know about Charles Bronson, he doesn’t much like punks taking his stuff. According to a suit filed yesterday, Bronson was supposed to receive 10 to 15 percent of box-office receipts and video sales and rentals on both films, but an audit has allegedly revealed that both studios underreported video grosses in particular, based on a deal made with talent guilds in the early days of VHS and Betamax that their profit reports would be based on only 20 percent of the revenue. But Bronson’s estate says no dice, that his deal made no mention of that, and states clearly that their reports must show 100-percent of everything they were making off of him, period. And really, how would anyone have the gall to try to steal anything from Charles Bronson? Didn't they watch his movies?